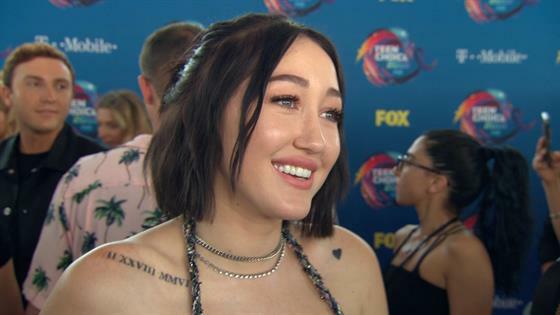 Noah Cyrus and Boyfriend Lil Xan Release New Song "Live or Die"
Lil Xan and Noah Cyrus aren't just boyfriend and girlfriend—they're also musical collaborators. The couple dropped their new track "Live or Die" on Monday. "Hey babe we have a song out togethheerrrr now," the younger sister of Miley Cyrus recently wrote on Instagram. The duo released the song rather quickly. According to her Instagram account, Noah and Lil Xan wrote the song and decided to share it with the world in just a week and a half. "This song is so special to us, " she wrote. "Out errywhere now." The two seem to reference their romance in the lyrics. "When you lay by my side, I see the whole world through your eyes," she sings. "Ride or die, you and I." News of Noah and Lil Xan's relationship broke earlier this month. However, the rapper actually started pursuing the singer at the beginning of the year. While attending the 2018 Teen Choice Awards, Noah told E! News Lil Xan sent her a direct message on social media back in February. She just didn't see the message until later on. She then followed him back and the rest, as they say, is history. Noah had also hinted at a possible collaboration at the time. So, does the star's famous family approve of her new beau? "My family wants whatever makes me happy," she told E! News, "and I'm, like, so happy." To hear the whole track, click on the video.